St. Lucia will try to fend off a challenge from Grenada, St. Kitts-Nevis and hosts BVI, as they seek to defend their title, when the 2ndOECS Track and Field Championships is held at the A. O. Shirley Grounds on Saturday and Sunday. A 3 p.m. opening ceremony followed by action at 4 p.m., will get the two days of competition rolling, where Olympians and NCAA Champions will meet, in what has now become a last chance opportunity for athletes to qualify for the Rio Olympic Games. 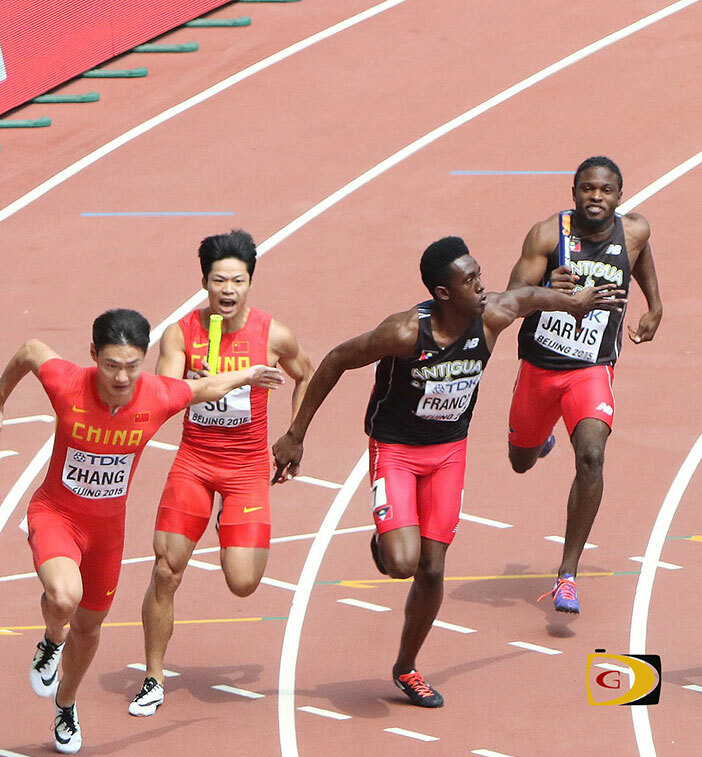 The meet, which will be the final opportunity to qualify for the Rio Olympic Games for the sub region’s athletes will also be a tune up for the July 15-17 NACAC U23 Championships in El Salvador and the IAAF World Jr. Championships in Poland, will also showcase more than a dozen Olympic Games qualifiers. Non OECS member Puerto Rico’s Women’s 4x100m Relay team will be seeking to solidify their #16 ranking for the Rio Olympic Games, while Hector Hernandez will attempt to lower his 800m best from 1 minute, 46.20 seconds to 1:46.00 and book his ticket to Rio. Others have also shown interesting in using the meet to qualify for the Olympics. Teams from Anguilla, Antigua and Barbuda, St. Kitts-Nevis, Montserrat, Dominica, St. Lucia, St. Vincent and the Grenadines and host BVI, will be battling for the overall team title. There will also be a women and men’s title at stake. Grenada will feature 2016 NCAA Decathlon Champion Lindon Victor along with his brother Kurt Felix—the 2012 NCAA Decathlon champion—competing in individual events. Both have qualified for Rio with Victor ranked at No. 8 with 8446 points and Felix at No. 13 with 8302. Their lineup also included Carifta Games Javelin Throw Record holder Anderson Peters—who broke 2012 Olympic champion Keshorn Walcott’s meet record with a heave of 78.28m on his home soil in March. Female equivalent Candesha Scott who threw the spear 51.13m, will be trying to improve her mark. The women’s High Jump will feature the St. Lucian pair of Jeanelle Schepper and Levern Spencer—both currently ranked among the top 15 jumpers in the world—with marks of 1.96 and 1.95m respectively. They will be joined by Antigua and Barbuda’s Priscilla Frederick who had a 1.91m best. The meet’s Most Outstanding Male Athlete will walk off with the Joseph “Reds” Perreira Award, named in honor to the founder of the OECS Championships while the Female Athlete of the Meet will take home the Veda Bruno-Victor award, in honor of the longtime regional administrator. St. Kitts-Nevis 10.03/20.41 Olympic sprinter Antoine Adams, and his 4x100m Rio bound relay teammates, will lead their squad that also includes OECS Record holder Tameka who has a 23.05 seconds 200m season’s best. Adams will find Antigua and Barbuda’s Daniel Bailey with a 10.09 season best and and his teammate Miguel Francis, who has the second fastest 200m time so far in 2016 of 19.88 seconds. Montserrat’s Julius Morris, an NCAA 200m semifinalist with a 20.52 best this season will set up the sprinting fire works. Dominica’s Dillon Simon and the BVI’s Eldred Henry will do tango in the Shot Put, where the strong men have seasons bests of 19.18m and 19.39m respectively. Tahesia Harrigan-Scott—coming off a season’s best of 23.24 seconds in the 200m victory in Belgium and 11.39 seconds in the 100m and Ashley Kelly who has a 23.17 seconds 200m time this season, will lead the BVI sprint corps. Chantel Malone will lead the female field events charge in the Long Jump, after a 6.48m victory in California last weekend and has a 6.66m seasons best. Harrigan-Scott, Kelly, Malone and Karene King, will seek to improve on their 44.05 seconds time from April and dip under 44.00 for the first time against the Puerto Rican quartet of Beatrice Cruz, Genoiska Cancel Celiangely Morales and Carol Rodriguez, who will seek to match their 43.55 seconds run in Rio last month. Many of the OECS Championships Meet Records are expected to be destroyed as well as several BVI All Comers Records. Admission is $10 for adults and $5 for children with a limited amount of red VIP seats going at $15.